Microsoft HoloLens 2: All about the New AR Headset - Design, Price etc. The Microsoft HoloLens 2 has just been presented at the MWC 2019 in Barcelona. 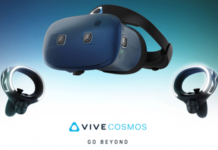 Discover all you need to know about this new augmented reality headset: technical characteristics, design, features, applications, price, and release date. 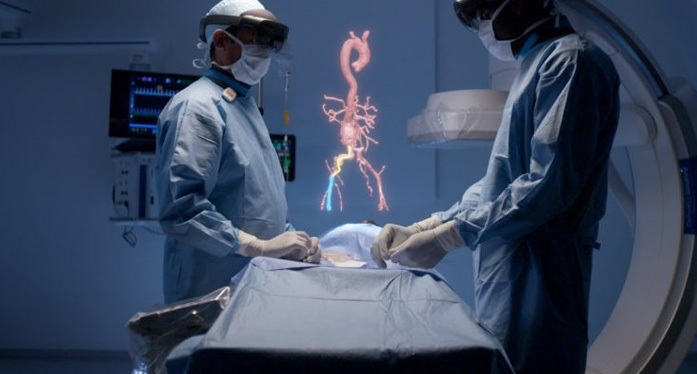 In 2015, Microsoft positioned itself as a precursor of augmented reality by launching the HoloLens: a $5000 AR headset designed for professionals. This device makes it possible to visualize virtual images superimposed on the real world, for example for purposes of product visualization or remote assistance. This is what Microsoft calls “mixed reality”. In the meantime, however, new players have entered the market. Since the summer of 2018, Magic Leap has been offering for example its Magic Leap One augmented reality headset for a price of $2295. Similarly, the rumor that Apple would launch its own AR headset in 2020. It was therefore time for Microsoft to launch a new version of the HoloLens. It’s done. On Sunday, February 24, 2019, at the MWC in Barcelona, Microsoft unveiled the HoloLens 2. 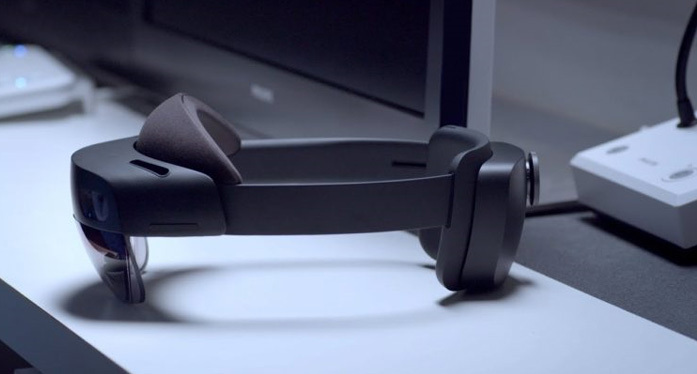 Proposed for $3500, this new headset offers better image quality and increased comfort and ease of use. Find out everything you need to know about this device. According to Microsoft CEO Satya Nadella, IT is now “integrated with our world, everywhere and in every way”. Examples include fridges and connected coffee machines, and smart surgical instruments. That’s why Microsoft has changed its approach to the technology it produces. From now on, “it is no longer the device that is in the forefront, but the human”. 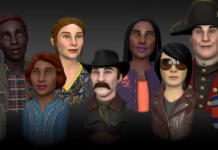 Several improvements have been made to the design to make the experience more comfortable. 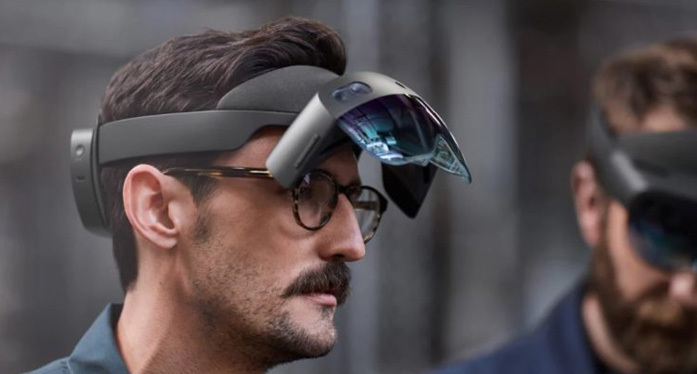 In this sense, the HoloLens 2 is equipped with a visor that can easily be raised or lowered. This makes it possible to coat the device with more simplicity, but also to be able to use it with glasses. For people with vision problems, this is a real advantage over the first HoloLens or other headsets like Magic Leap One. Similarly, the weight of the headset has been slightly reduced for more comfort. The first HoloLens weighed 579 grams, this second version weighs 566 grams. 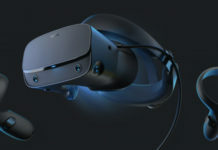 Under the hood of Microsoft HoloLens 2, there is a Qualcomm Snapdragon 850 Compute Platform CPU. This processor is combined with a second generation Holographic Processing Unit manufactured by Microsoft, which occupies the role of the GPU. The screen offers a definition of almost 2K per eye with a field of view of 52 degrees, for a total of 47 pixels per degree. In comparison, the first HoloLens was satisfied with a definition of 720 per eye with a field of view of 30 degrees. In front, an 8 MP camera is designed for videoconferences and can shoot in 1080p definition at 30 FPS. In terms of connectivity, the HoloLens 2 is equipped with a Type-C USB port. It is compatible with WiFi 802.11a 2 × 2, but not with cellular data. There is also a 5-channel microphone, and a spatial audio through two speakers. One of the most important changes to HoloLens 2 is the field of view of the screen. As a reminder, the “FoV” determines the scope of the user’s field of vision when he puts the headset on his head. The first HoloLens had a field of view of only 30 degrees, and this was its main weak point. But the new HoloLens 2 offers a 52 degree field of view. The number of virtual elements that can be displayed on the screen simultaneously is therefore considerably increased. With sensors built into the headset at the nose and pointed at the eyes, the HoloLens 2 is now able to follow the eyes of the user. This allows for example to unlock the device through Windows Hello, or to save the individual usage settings in case of shared use. Third-party developers will also be able to use Eye Tracking for the apps they create. In parallel, hand tracking has been greatly improved compared to the first HoloLens. As this new headset still does not work with controllers, users will have to use their hands and voice (via the Cortana wizard) to interact. While the first HoloLens could recognize basic click and pressure gestures, this second version can recognize 21 points of articulation per hand and allows more realistic hand movements. The hand tracking system of HoloLens 2 is therefore the most advanced on the market today. With the HoloLens 2, there is no question of charging your headphones after each use. Microsoft has made every effort to offer greater autonomy than the one offered by the first generation. Like the Magic Leap One, this new device can be used for 3 hours in a row between recharges. This is a real progress, although it is not yet possible to keep the headset on the nose all day without interruption. In addition to its headset, Microsoft has also announced a new batch of HoloLens applications designed for businesses. 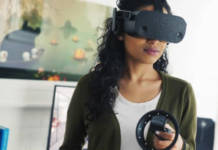 For example, the Dynamic 365 Guides application will allow companies to gather instructional instructions in mixed reality. The Dynamic 365 Layout application, meanwhile, allows you to create a persistent map of the building in which the user is located and to save this map. 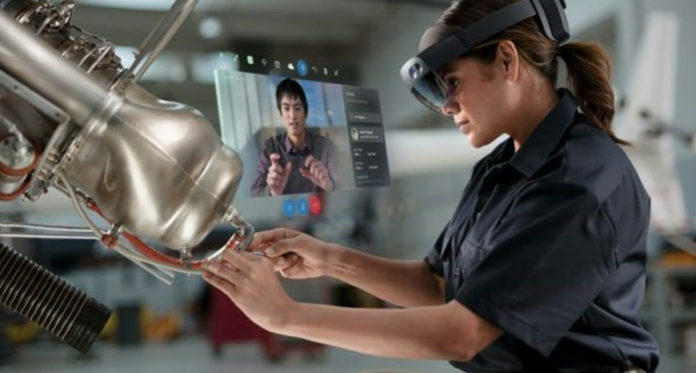 Thus, the user can for example place a hologram on a table in a room, and this hologram will always be in place if it returns later and even with another HoloLens connected to the same account. Among the applications developed by third parties and put forward by Microsoft, mention can be made of video conferencing and collaboration software developed by Spatial. This application makes it feel as if you are communicating with people as if they were in the same room. 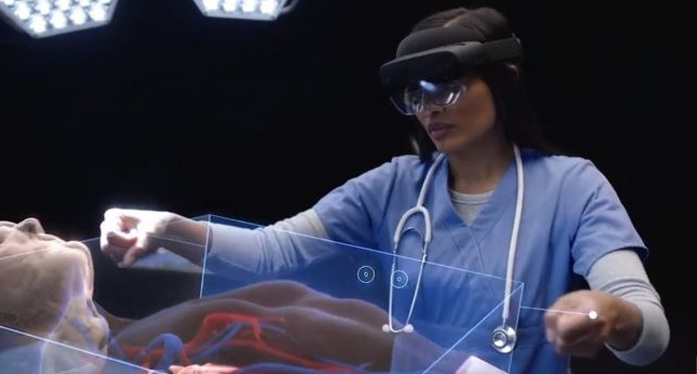 With HoloLens 2, Microsoft has chosen to offer an open system. Understand that anyone could create an app store for this new headset. Similarly, this has allowed Fortnite’s developer, Epic Games, to create programming tools for the HoloLens. For its part, Mozilla offers its web browser in mixed reality Firefox Reality. By opening its ecosystem to third parties, Microsoft’s intention is obvious. 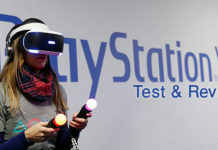 The company hopes that many developers will create applications for the headset, increasing its interest in the eyes of potential new users. 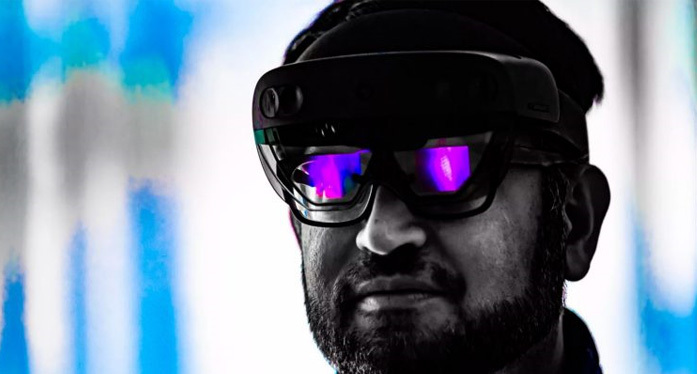 In view of the high price of first-generation AR headsets, many hoped that HoloLens 2 would begin the democratization of augmented reality with a more affordable price. Unfortunately, it is not the case. According to Microsoft, the HoloLens is still not ready for home use by everyone. This new version remains for professionals such as industrial designers or workers in the manufacturing sector, as well as the military sector since Microsoft has signed a partnership with the US military. 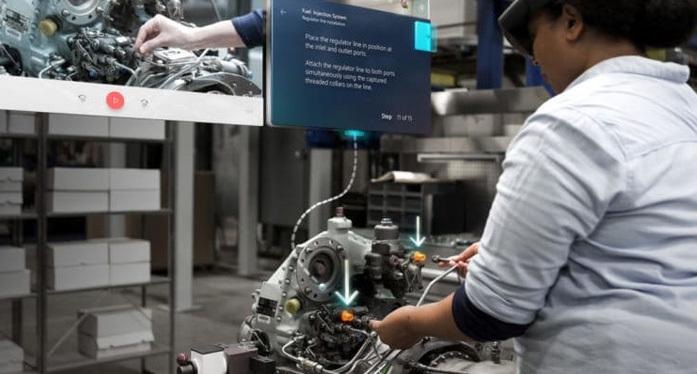 In all sectors where workers need to receive information while keeping their hands free, HoloLens 2 can be useful. On the other hand, for the general public, it will probably be necessary to wait for the HoloLens 3. According to Microsoft, it could be available in one to two years only and will offer even more comfort and simplicity of use. The Microsoft HoloLens 2 is proposed for the sum of 3500 dollars: a price lower than the first HoloLens at 1500 dollars, but still more expensive than Magic Leap One (2300 dollars) and much too expensive for most individuals. 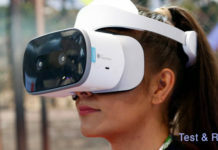 The headset will be delivered in the course of the year 2019, but the precise date is not announced yet. However, pre-orders are now open on the official Microsoft website.